A man went to his Lawyer. "My neighbour owes me $500 and he won't pay up. What should i do?" "Do you have any proof he owes you the money? ", asked the lawyer. "OK, then write him a letter asking him for the $1000 he owed you," said the lawyer. "But it's only $500," replied the man. "Precisely. 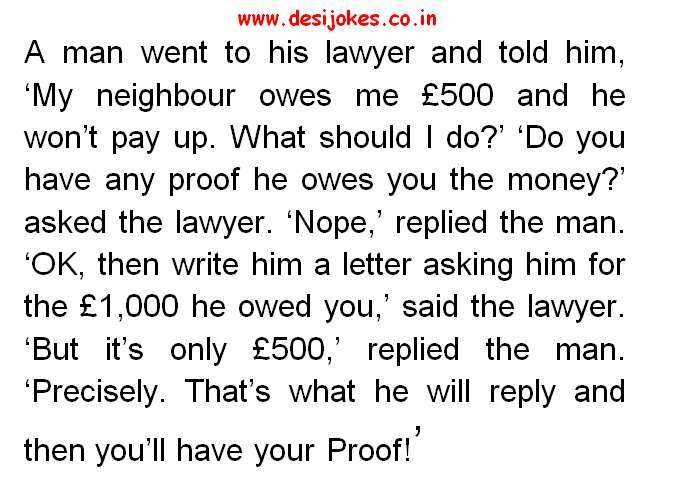 That's what he will reply and then you'll have your Proof!"